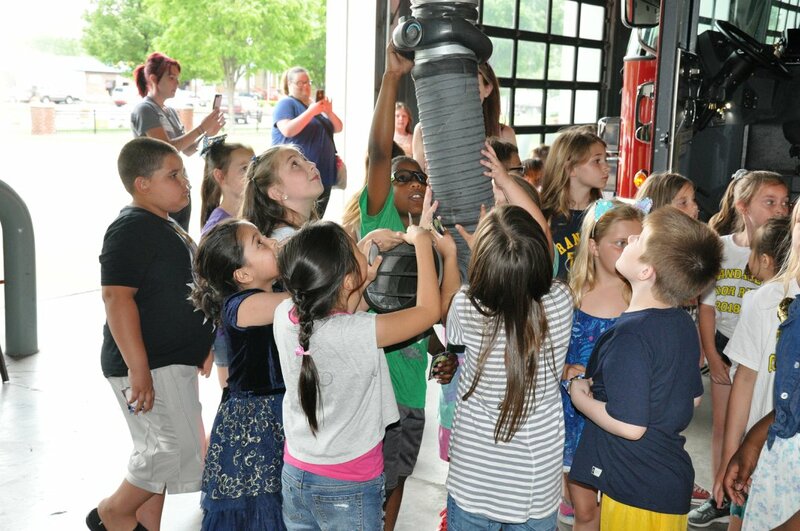 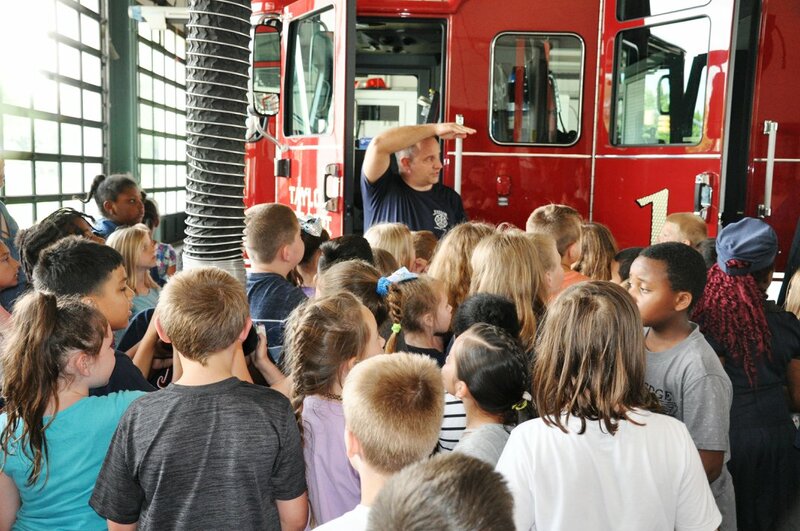 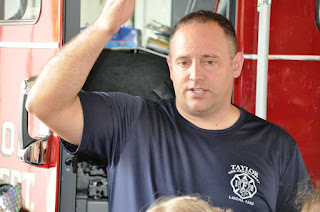 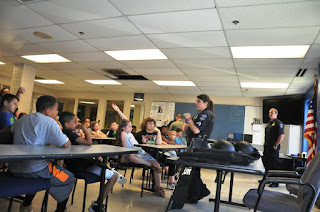 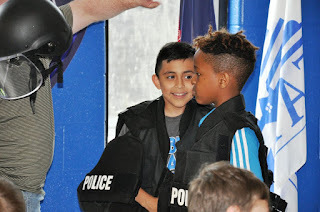 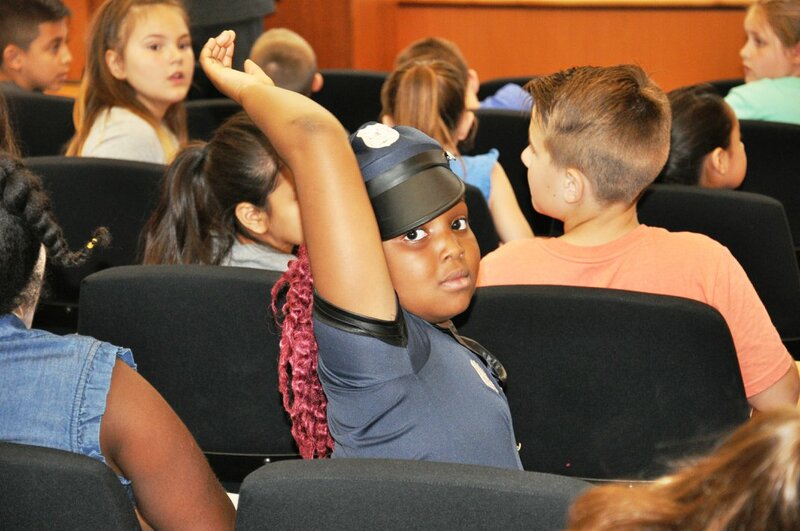 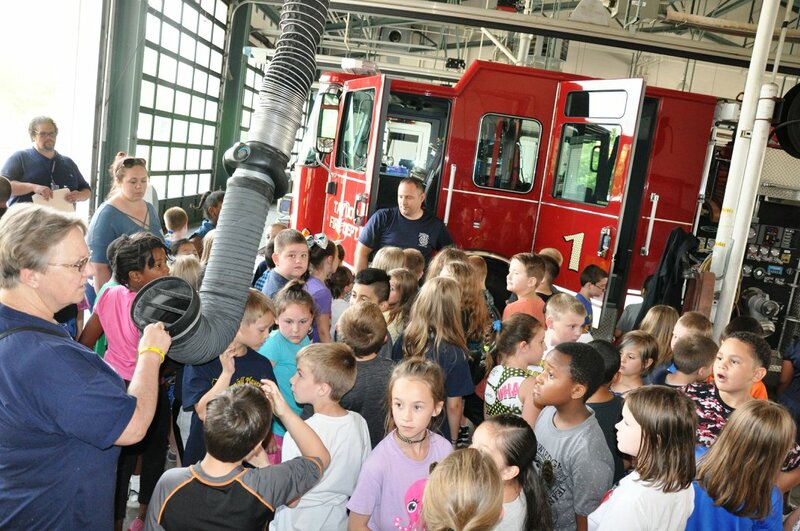 What do you get when you mix a huge group of second graders with a tour of City Hall, the Veterans Museum and the police and fire departments? 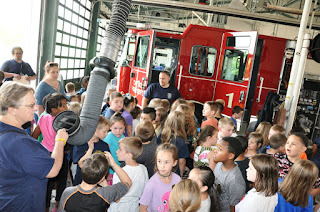 One busy morning! 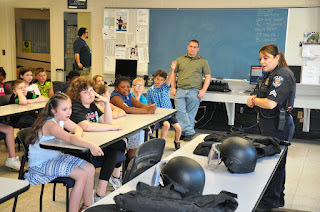 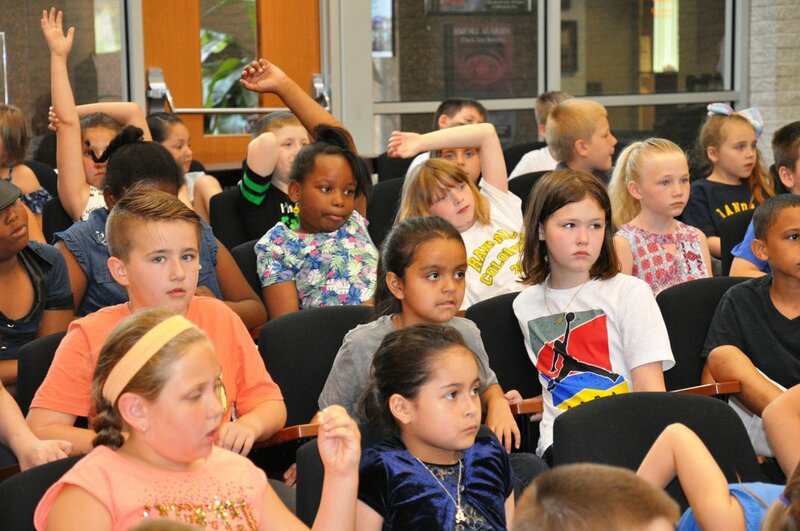 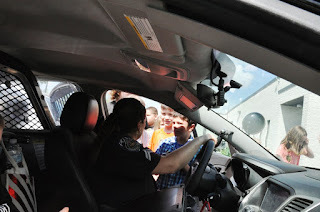 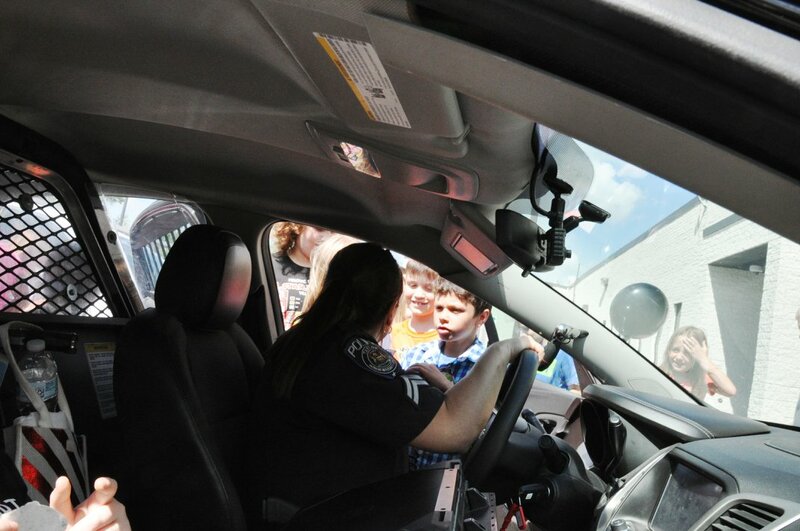 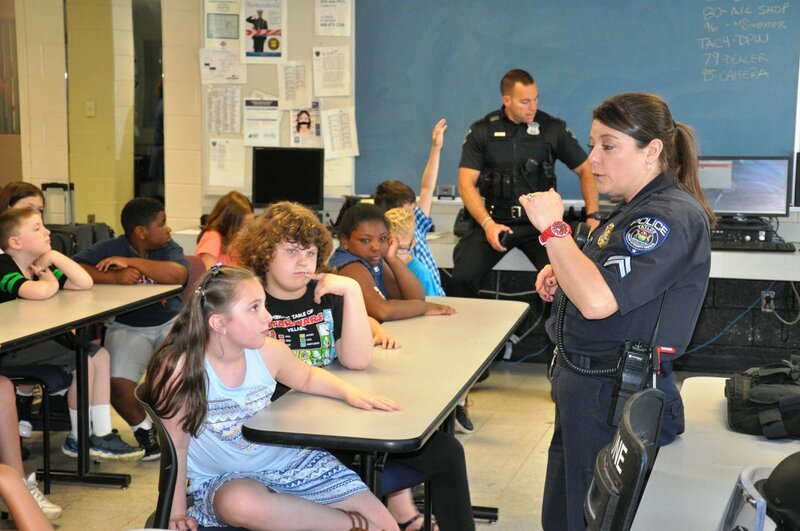 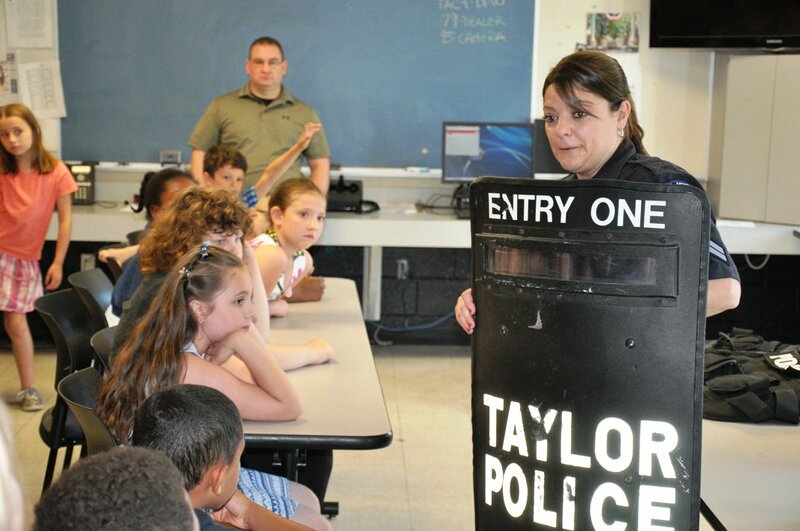 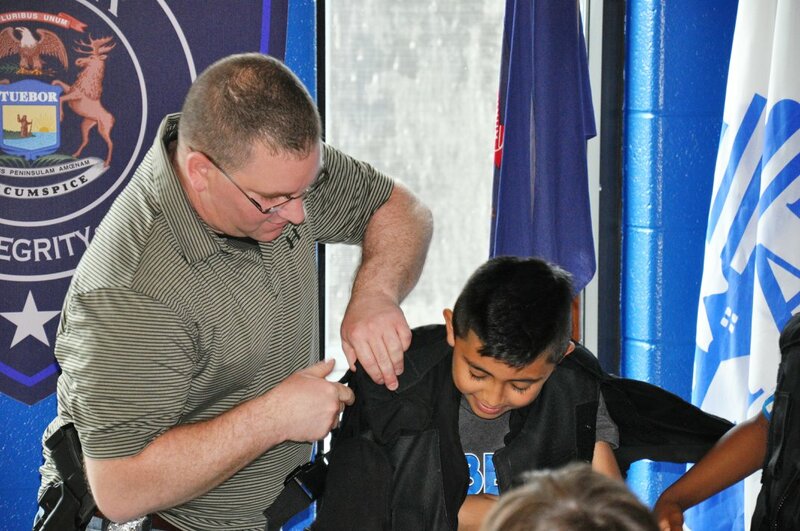 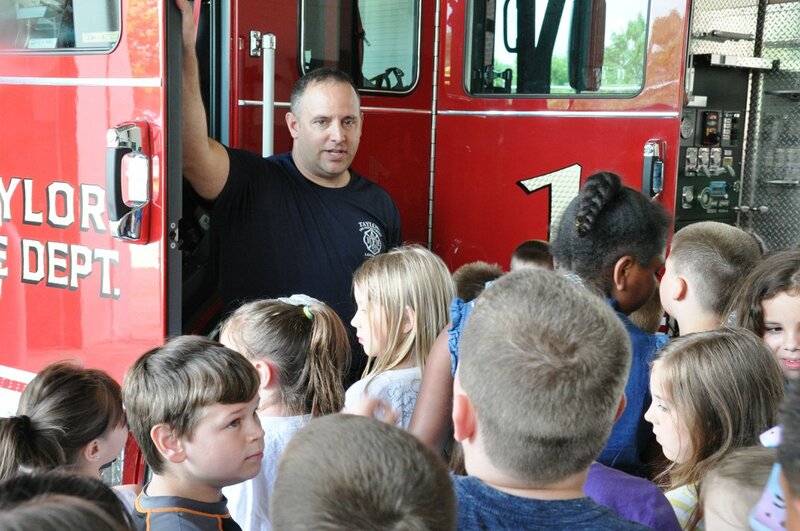 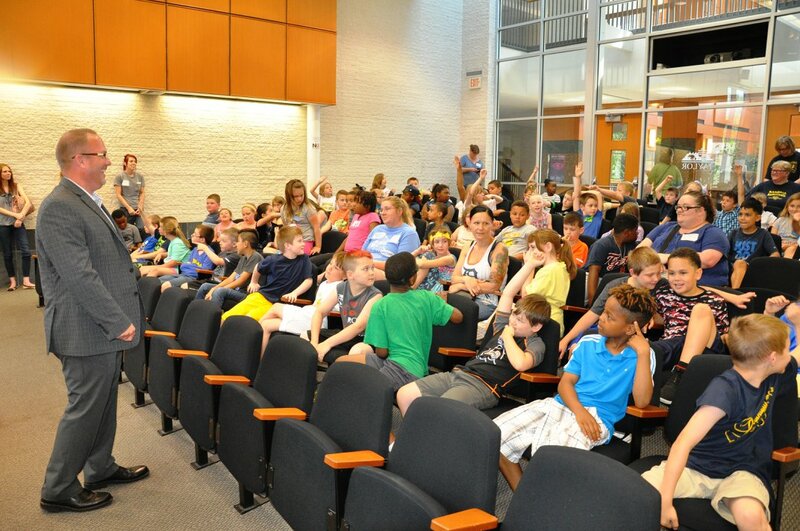 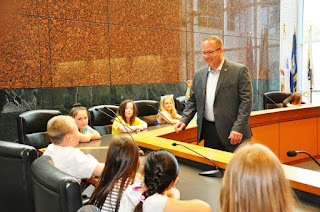 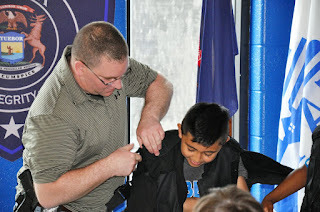 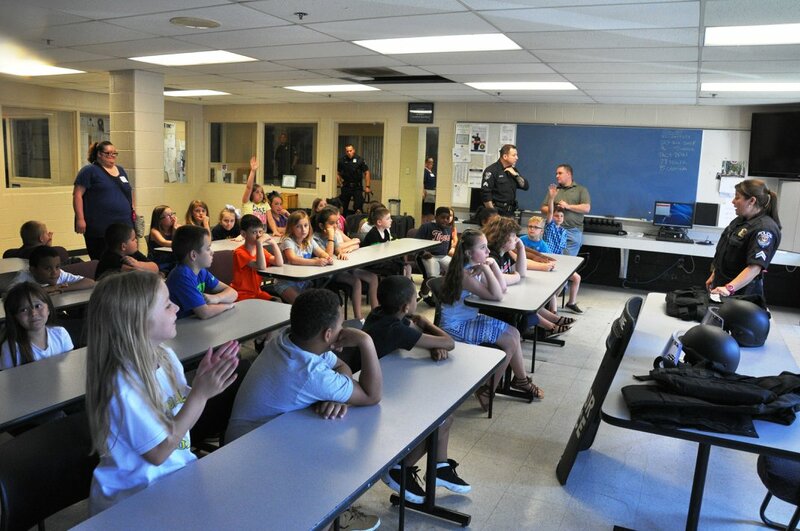 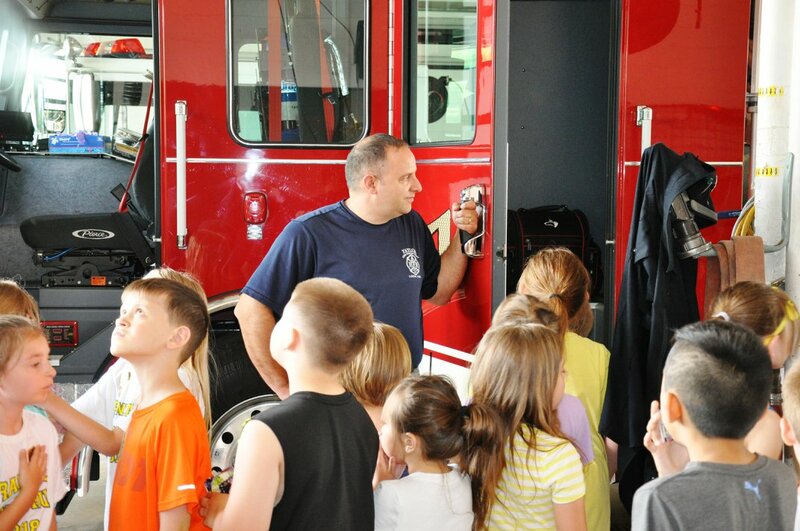 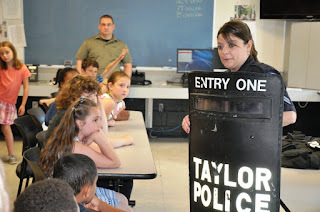 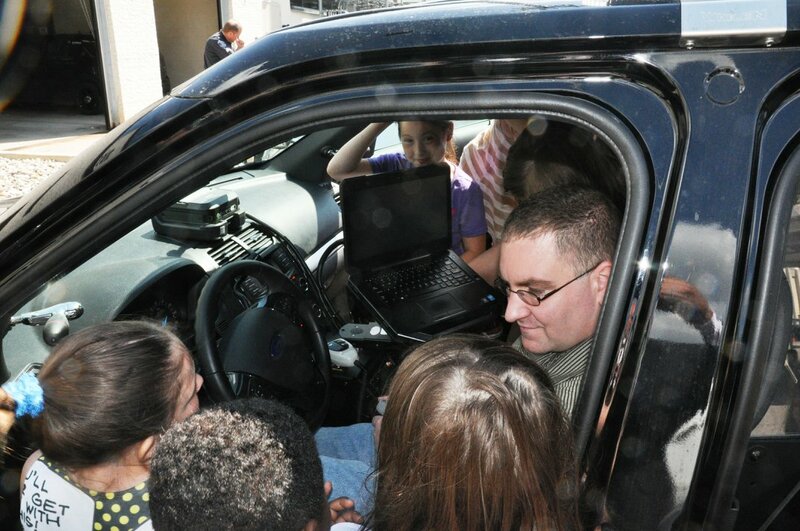 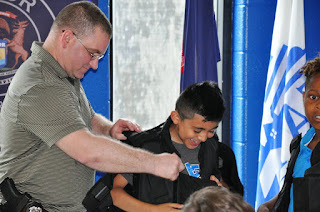 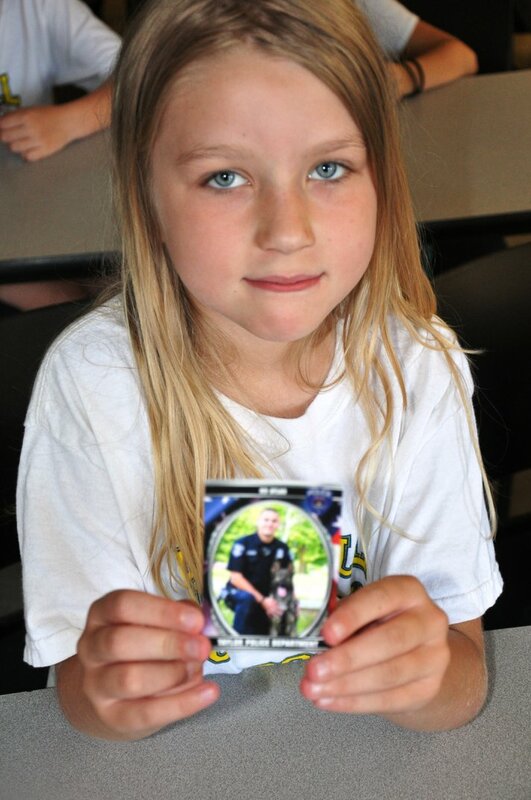 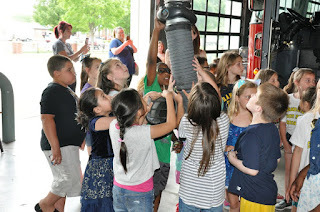 Second graders from Randall Elementary School stopped for a lengthy visited on Thursday, May 31. 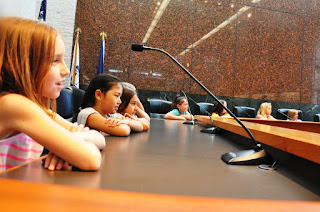 As any City official will tell you, the chairs of the City Council Chamber are rarely filled during government meetings. When this group visited, we ran out of room. 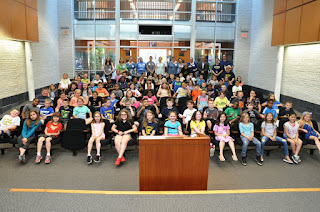 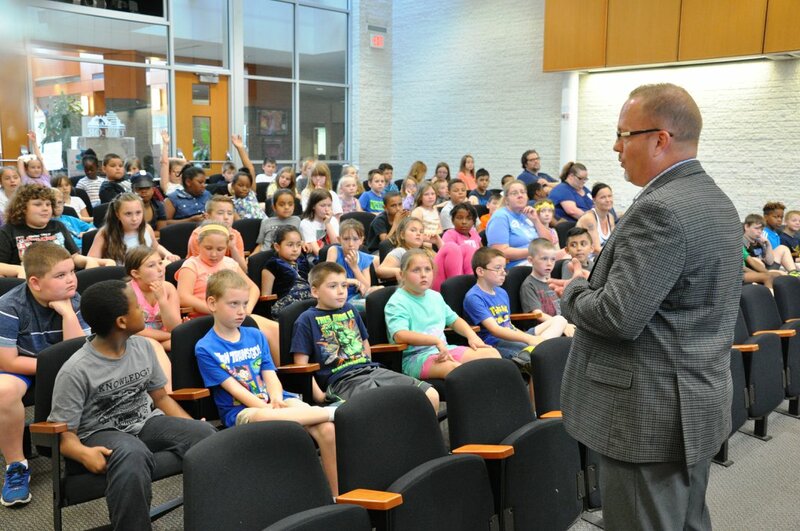 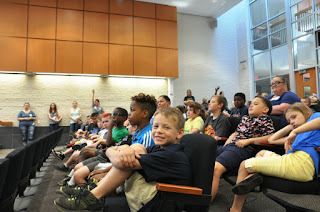 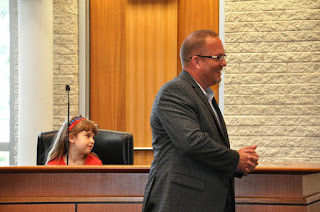 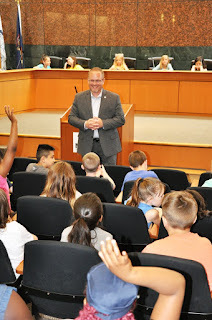 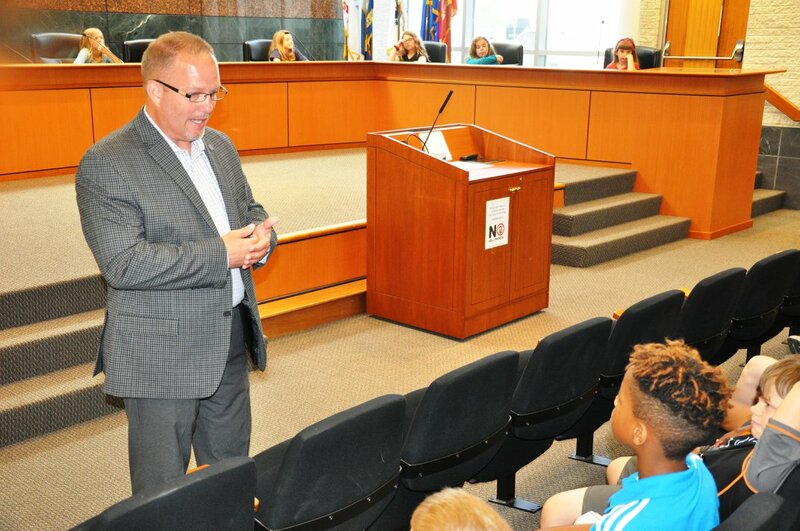 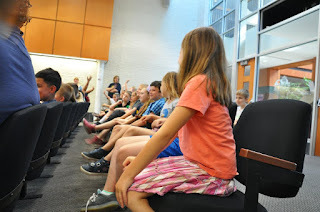 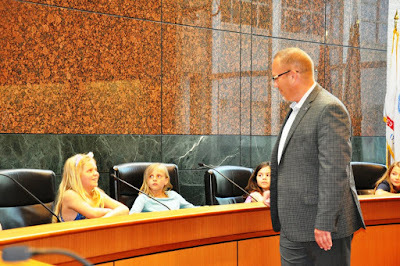 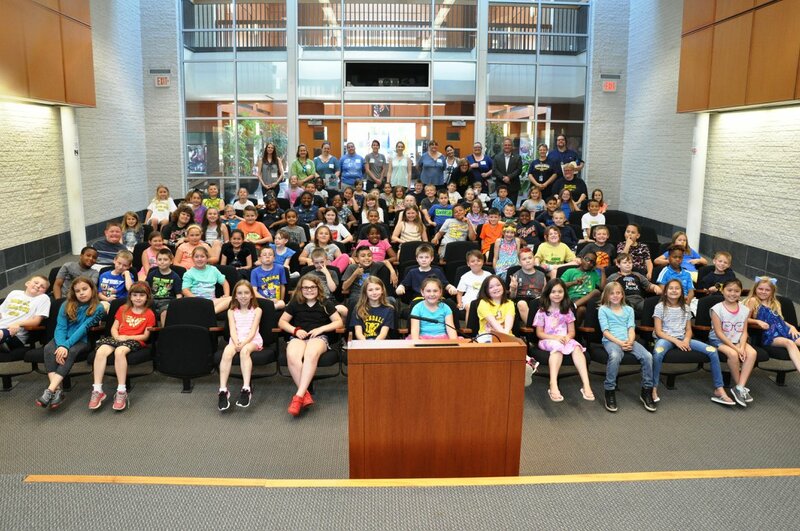 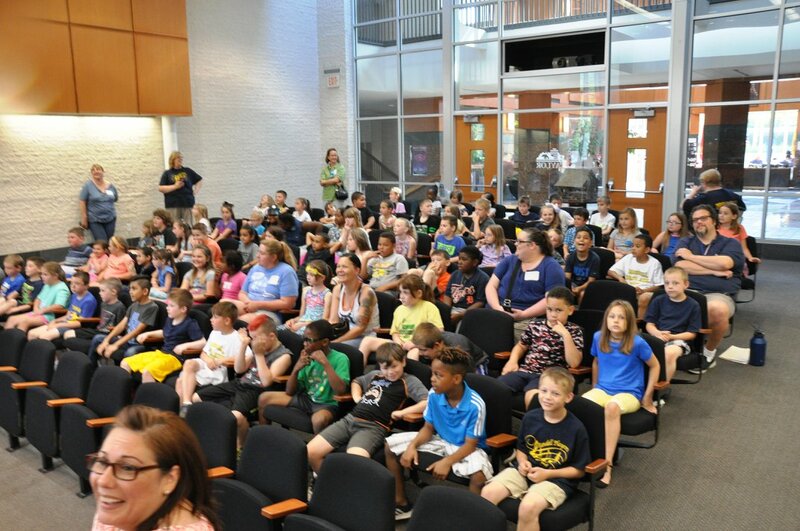 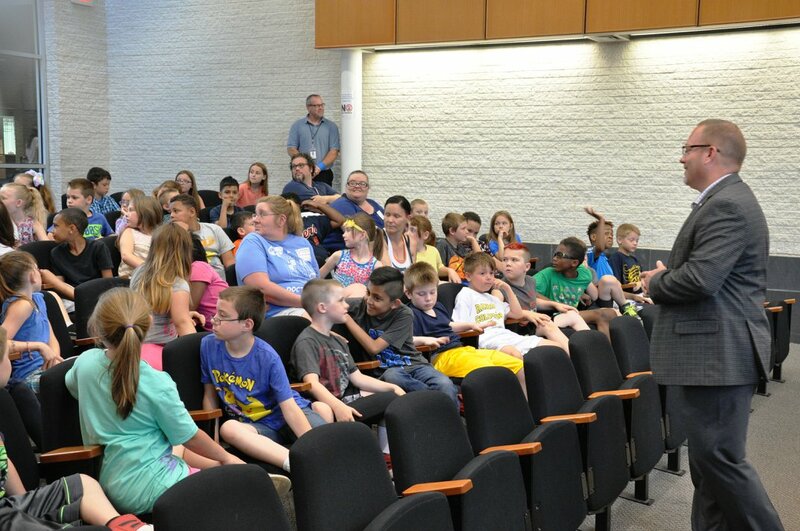 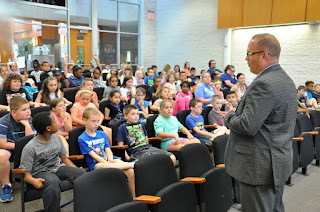 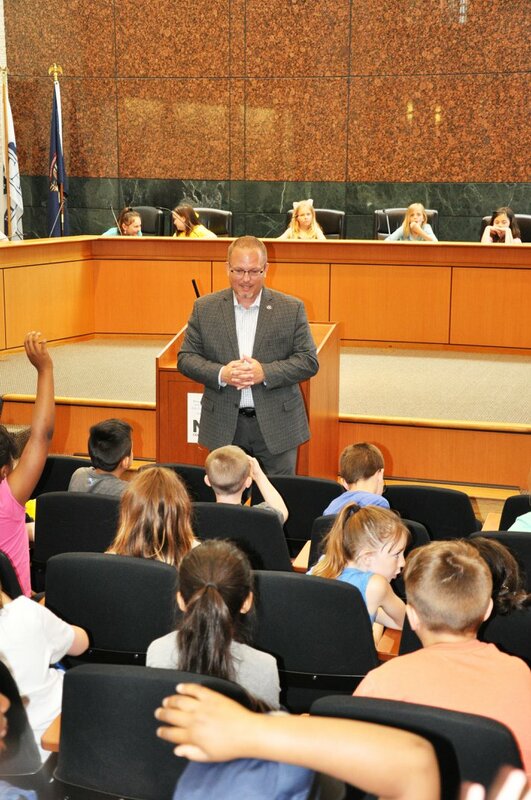 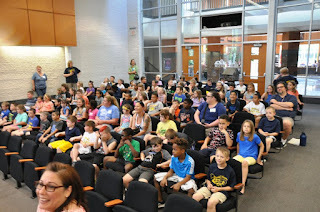 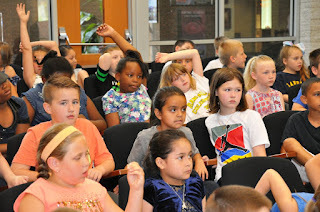 The capacity crowd of pupils learned about municipal government and their community from Mayor Rick Sollars and City Councilwoman Caroline Patts -- who happened to be on the tour, because she is the paraprofessional librarian at the school. 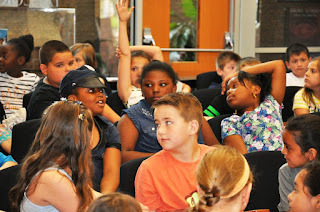 The children and their parents, teachers, had plenty of questions for the mayor and councilwoman. 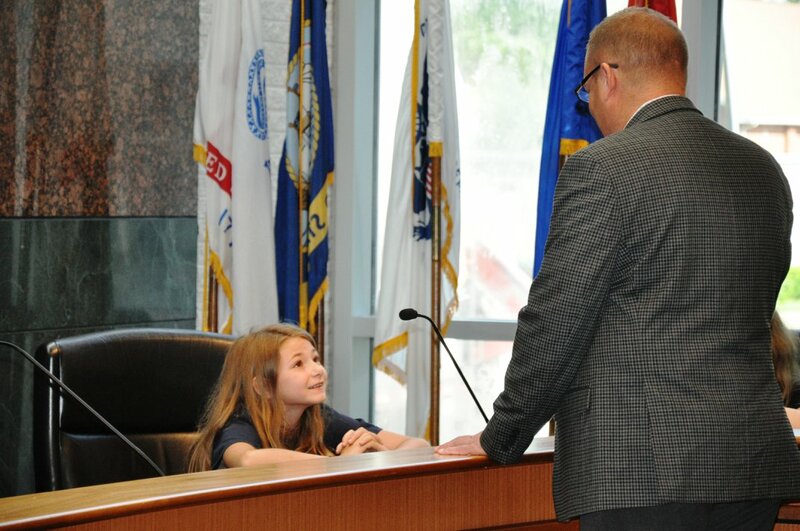 A member of pupils took seats on the council dais and conducted a mock vote under the watchful eye of the mayor. 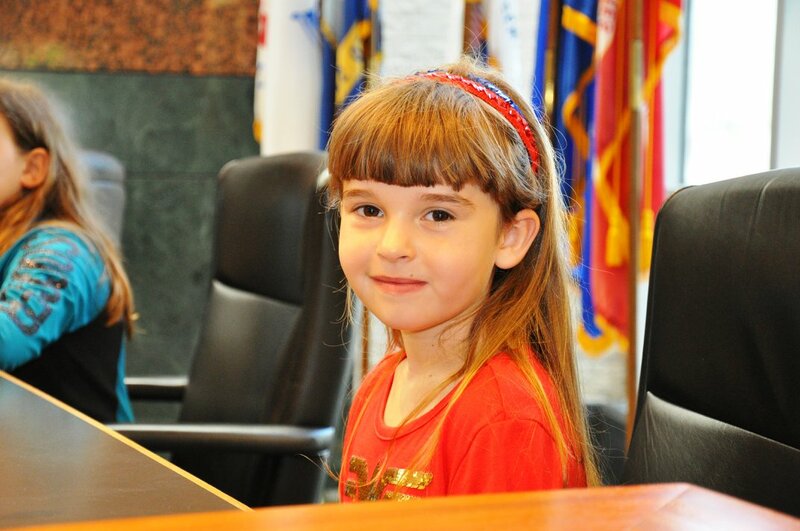 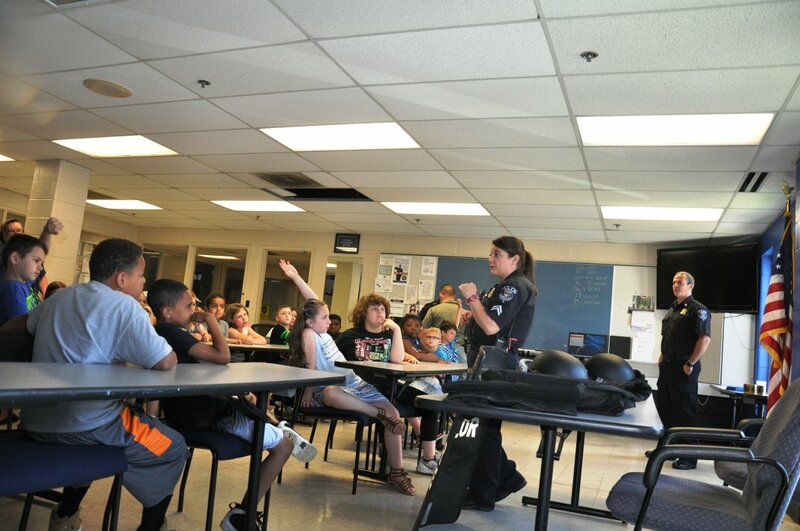 The children also visited the Veterans Museum, located inside of City Hall, and toured the Police Department. 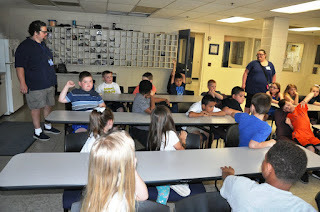 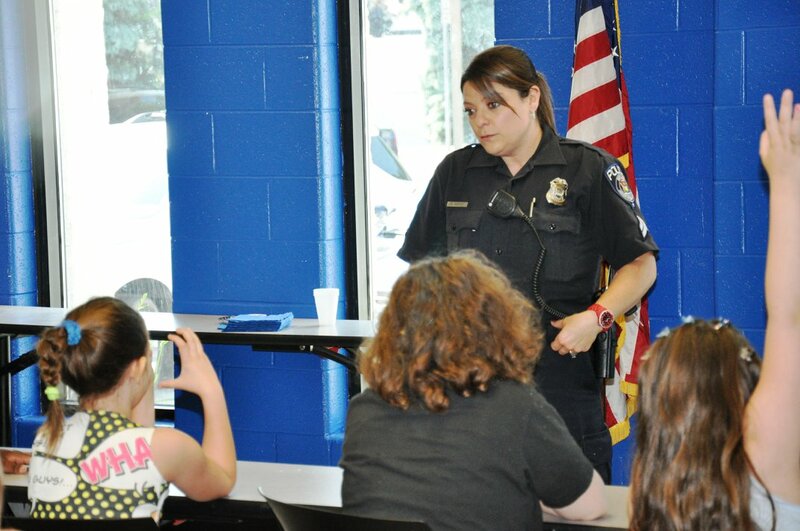 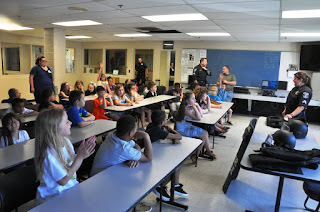 Officer Hopper, one of the school's liaisons, talked to the group at length and took them on a tour of the 9-1-1 dispatch center, which overlooks the jail. 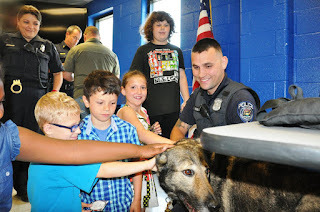 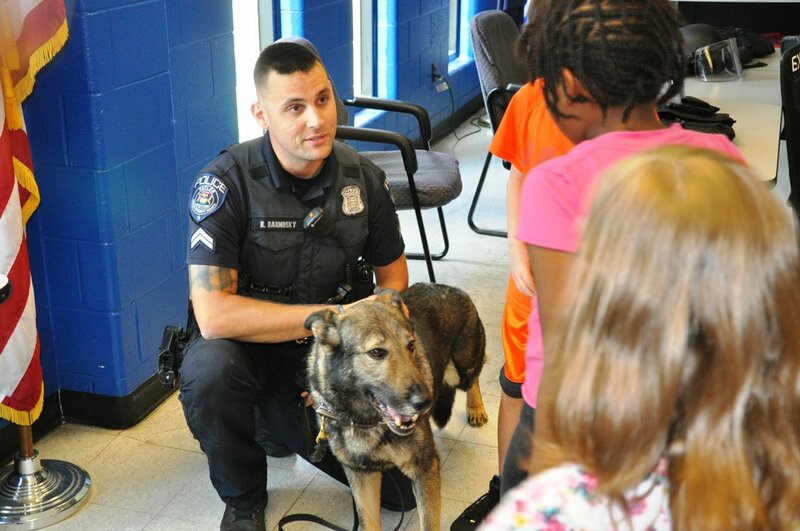 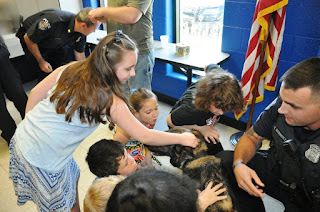 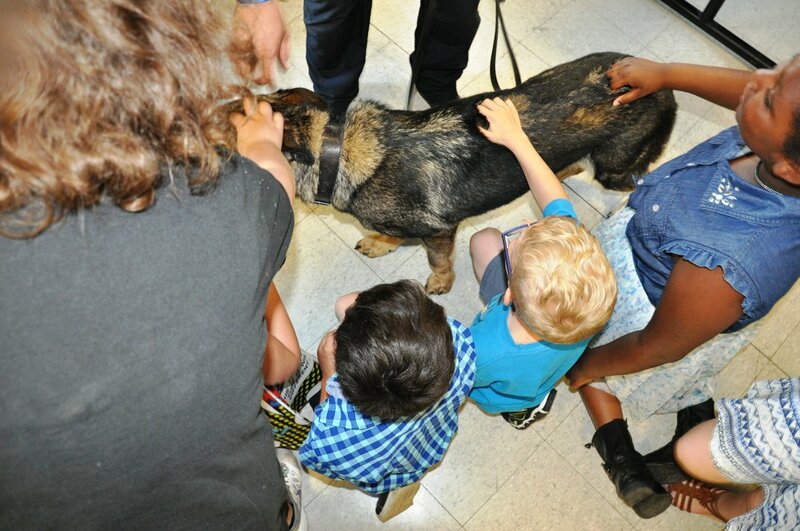 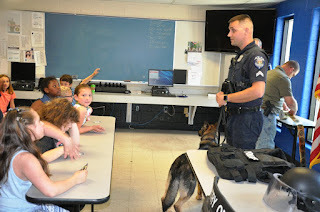 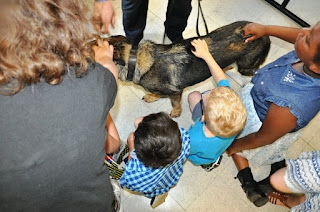 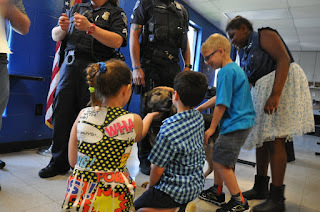 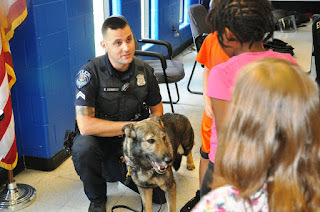 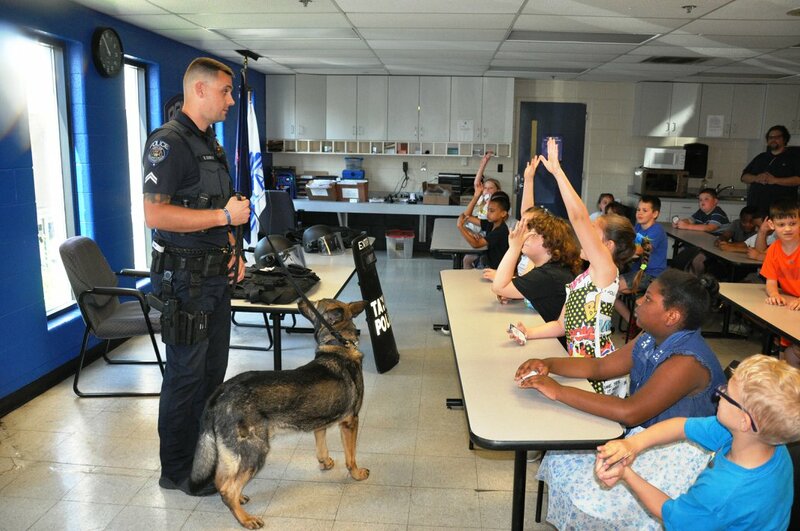 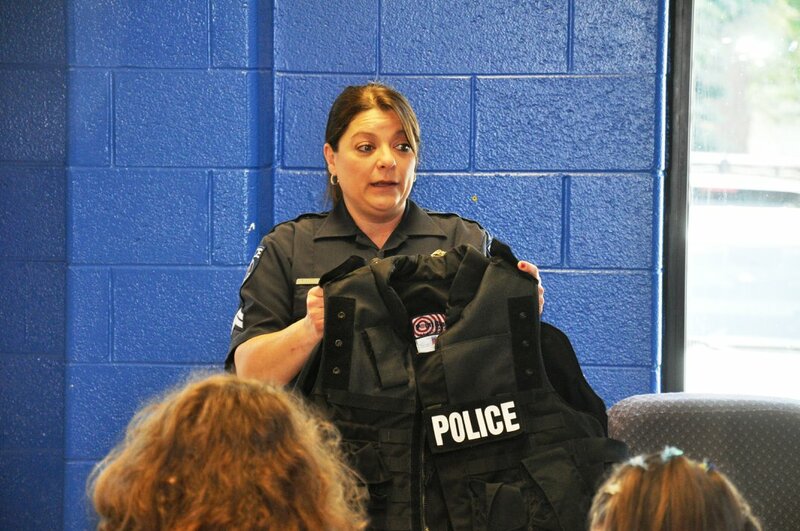 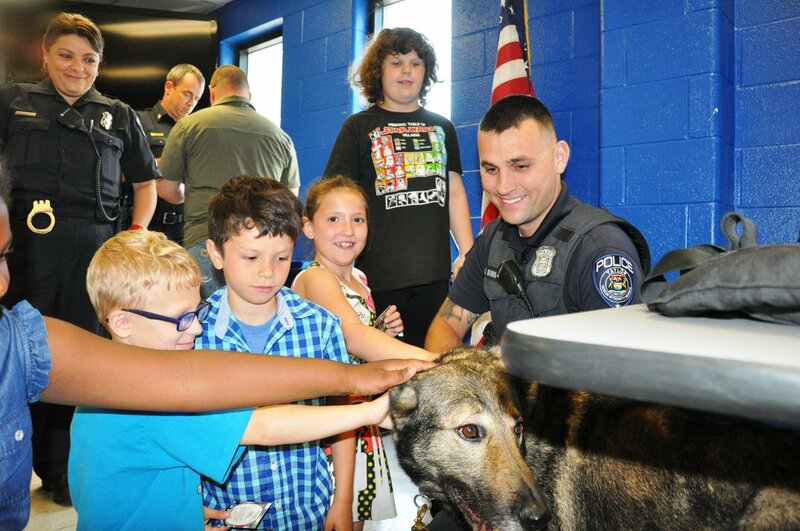 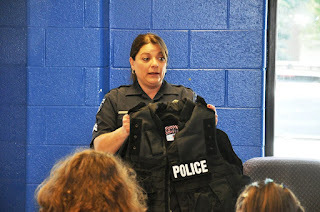 The children tried on SWAT gear and got to meet Atlas, one of the TPD's canine unit dogs. 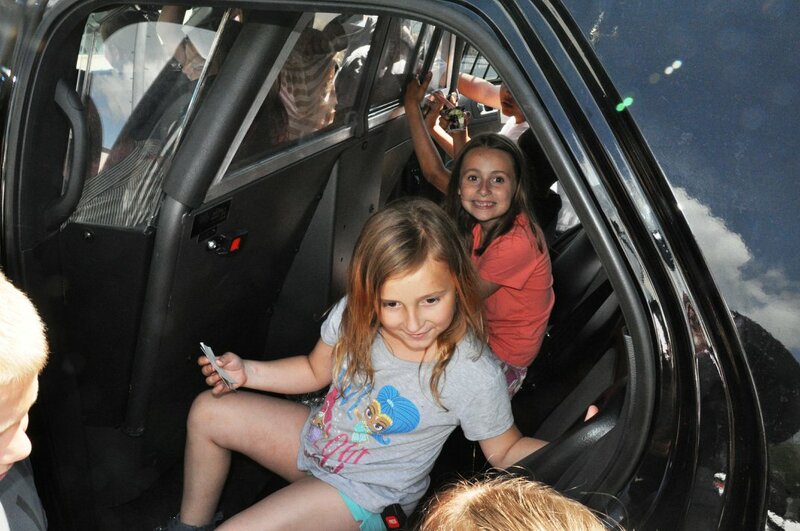 They also checked out patrol cars and SUVs. 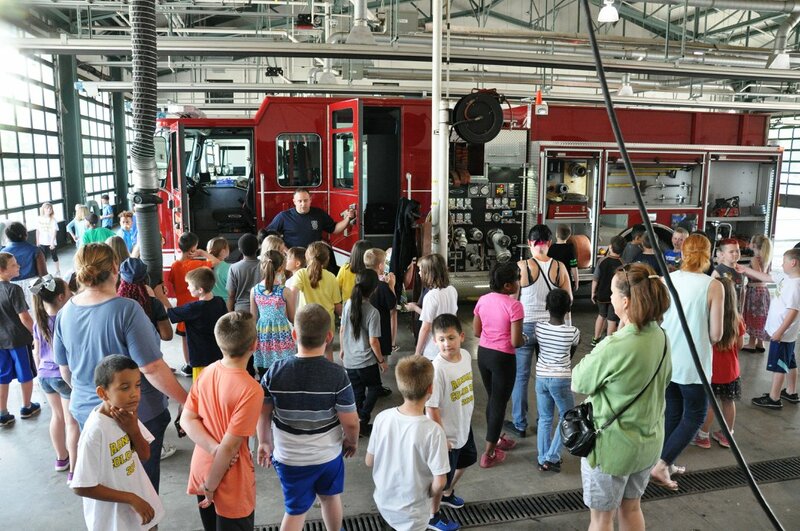 The ended their tour with a stop at the fire department, where they checked out some of the largest vehicles in the City's fleet.